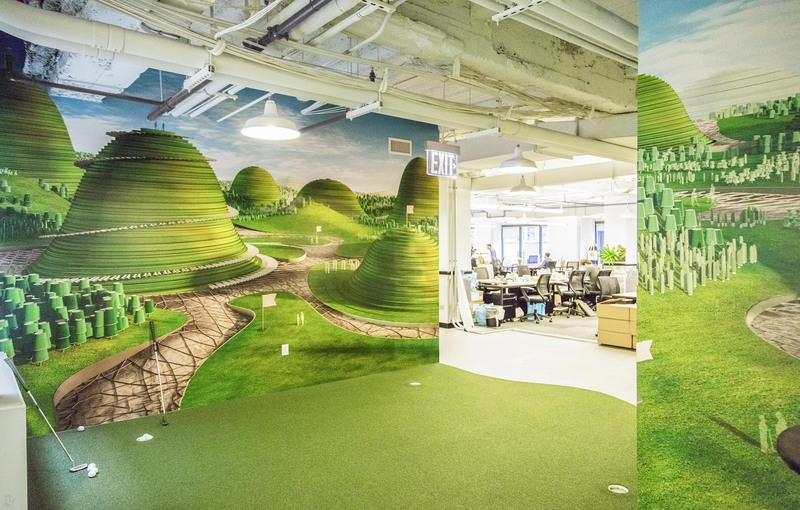 Golfscape is our imaginary landscape made out of office supplies. 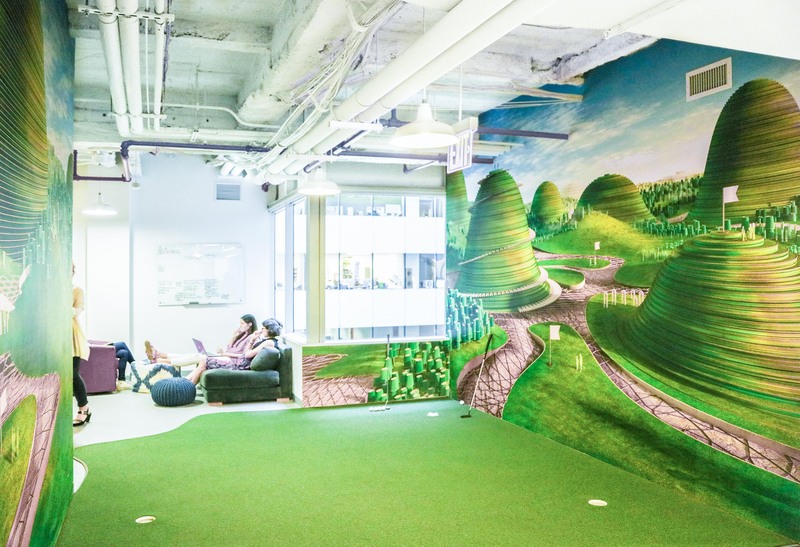 The interior golf course is located in a New York coworking office by Grand Central Tech. 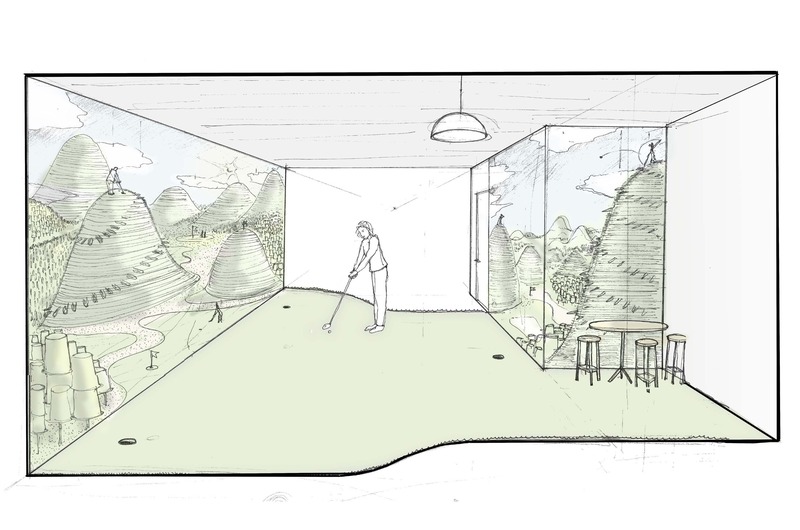 The original idea is to create a space that can inspire people to work and play. 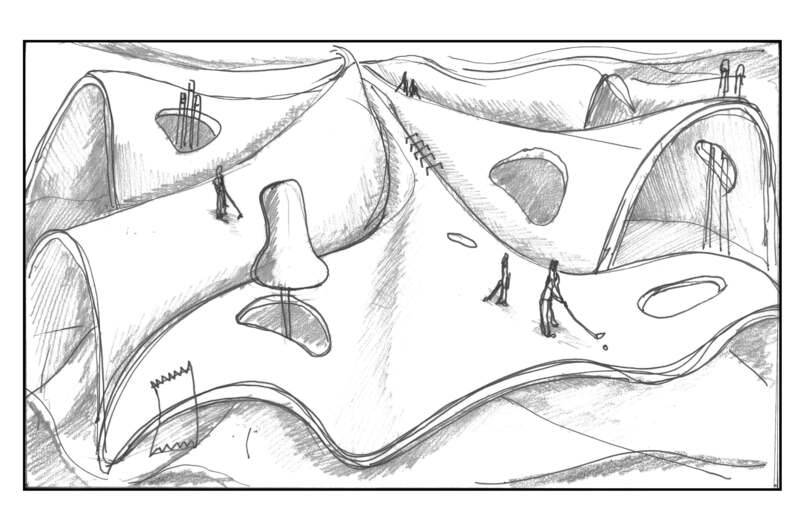 We decided to use different office items we found and manipulated their forms to make up a landscape. 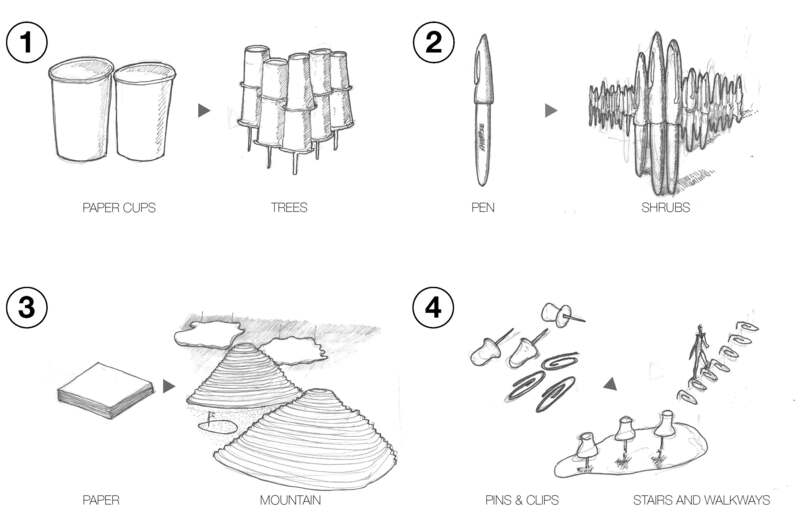 We turned paper cups into trees, pens into shrubs, paper into mountain and pins into stairs. 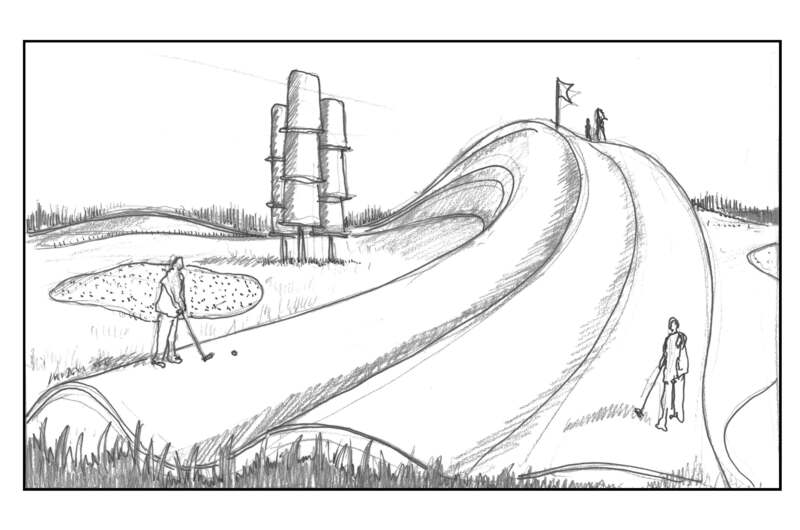 The landscape takes on a similar design language you found in our Smart City project. 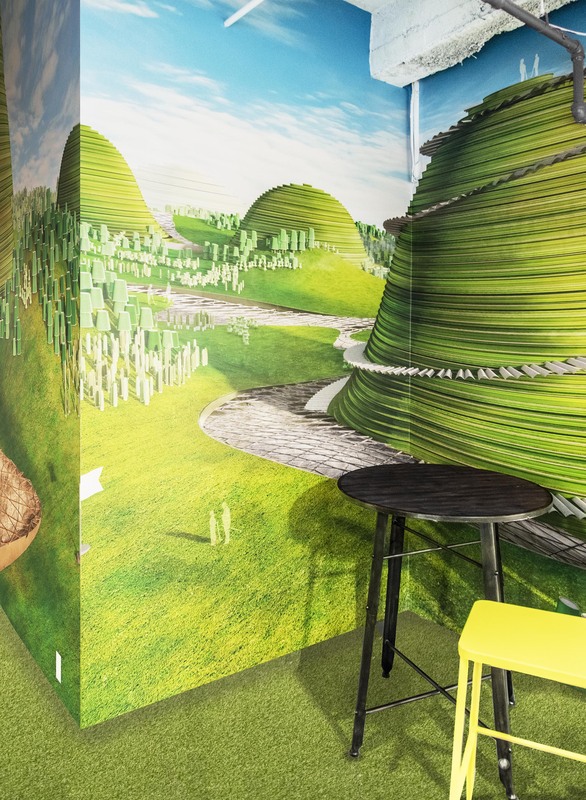 The wall art exists somewhere between 2d and 3d, but inherits our architectural ideas and the spirit to inspire others. 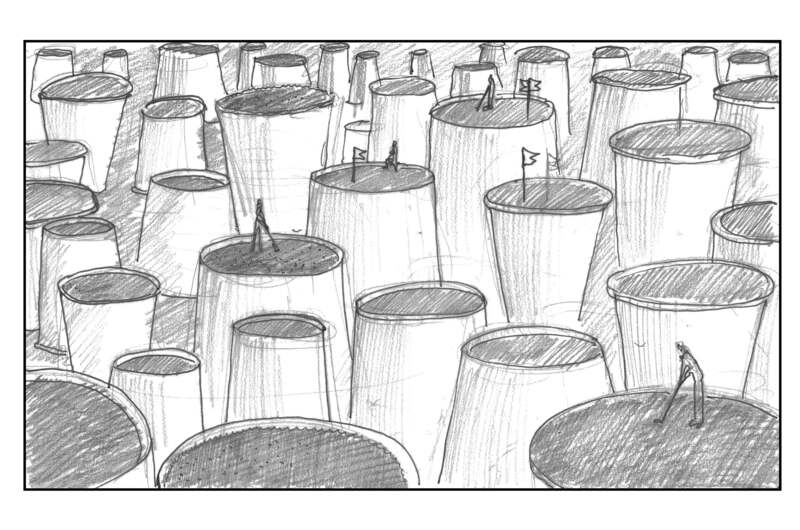 Special thanks to indiewalls for the opportunity.